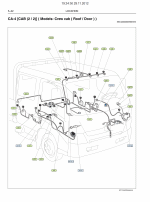 This workshop manual has been prepared to provide information on electrical circuits for the following Hino Vehicles. Applicable for HINO 155, 155h, 195, 195h series, equipped with J05E engine. As for maintenance items, refer to the Owner’s Manual. 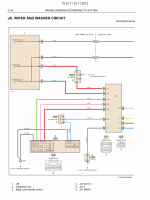 All information and specifications in this manual are based upon the latest product information available at the time of printing. 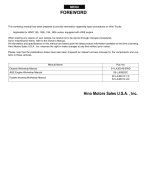 Hino Motors reserves the right to make changes at any time without prior notice. Please note that the publications below have also been prepared as relevant service manuals for the components and systems in this vehicles.